The economic language that emerges from the White House is always important. It sends messages to the markets and to the masses. 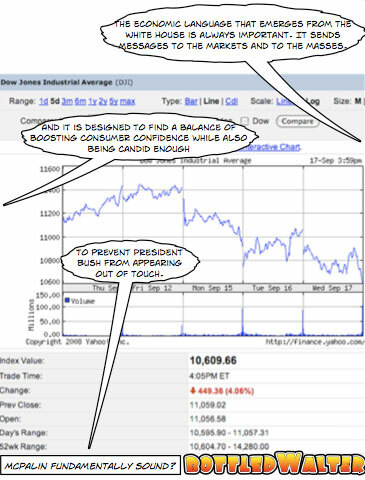 And it is designed to find a balance of boosting consumer confidence while also being candid enough to prevent President Bush from appearing out of touch. note: Are politicians out of touch?